Heat-drying has become an important procedure in almost all areas of industrial processing. Apart from the popular conventional procedures based on conduction, convection, or infra-red radiation, heat-drying utilizing microwave energy is an attractive solution to many problems in process technology. In microwave drying, the heat is generated by directly transforming the electromagnetic energy into kinetic molecular energy, thus the heat is generated directly within the material to be dried. As compared to conventional drying methods, microwaves penetrate into much greater depths. 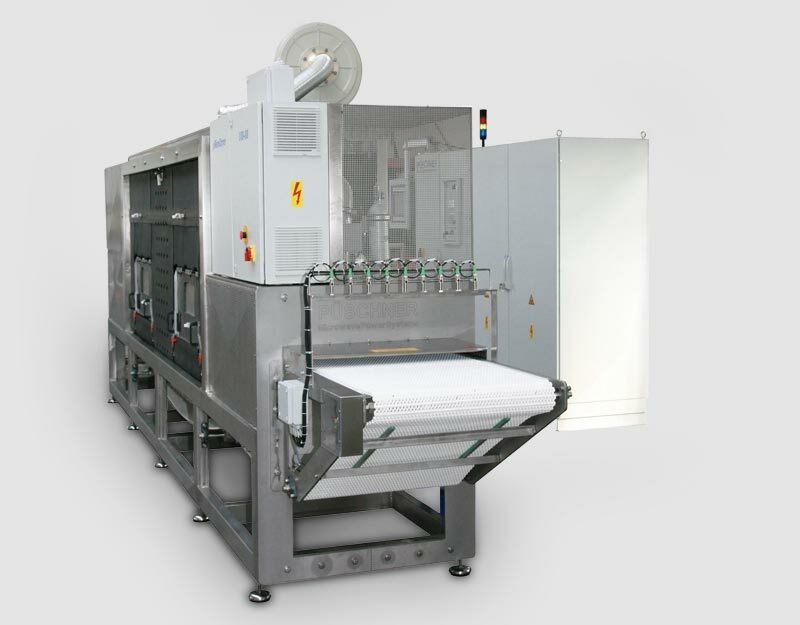 Within a continuous orientated production logistic, the family of the Püschner Conti Driers can be used for drying granulars, filter cake, powders as well as bulk materials and solid products. 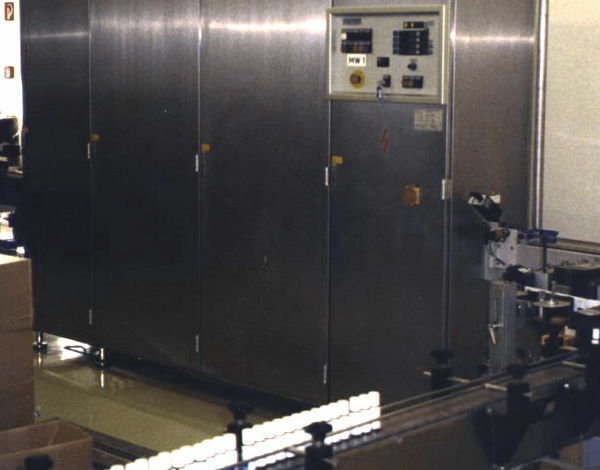 Using a constant dosing system at the inlet of the drier, constant drying results with short residence time in the drier can be achieved as well as ultra dried products can be produced. 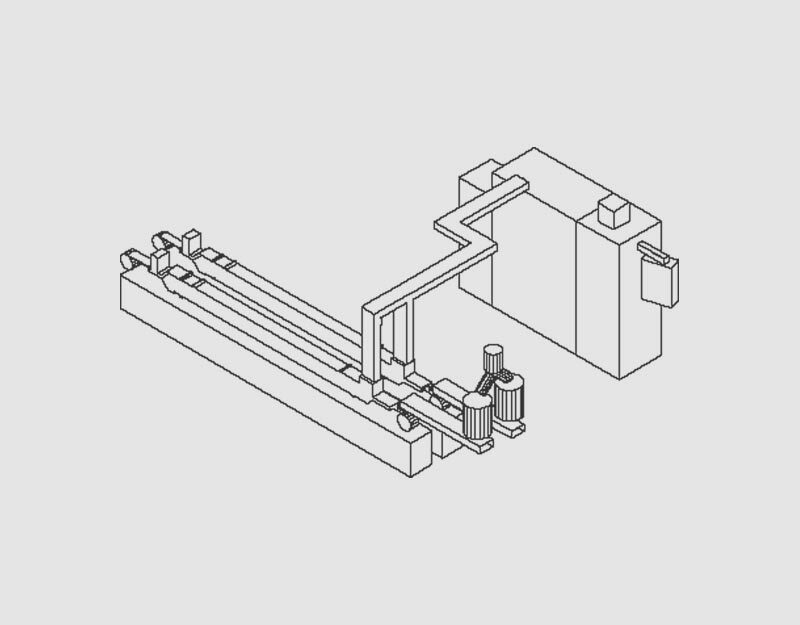 Püschner Conti Dryer used for drying bulk or piece materials are usually composed of several chamber modules aligned in series (see figure 1). The run and the duration of this process depend on the individually required drying conditions, the energy distribution profiles, the initial moisture concentration, and the degree of free movement of the water molecules within the product to be dried. Furthermore, there are other properties of the product that need to be considered, such as its capacity to absorb water, shape and size of the product, as well as the temperature-dependent dielectric properties interacting with the microwaves. To obtain optimal drying results, it is necessary to develop a microwave system that takes all the properties of the entire system into account. 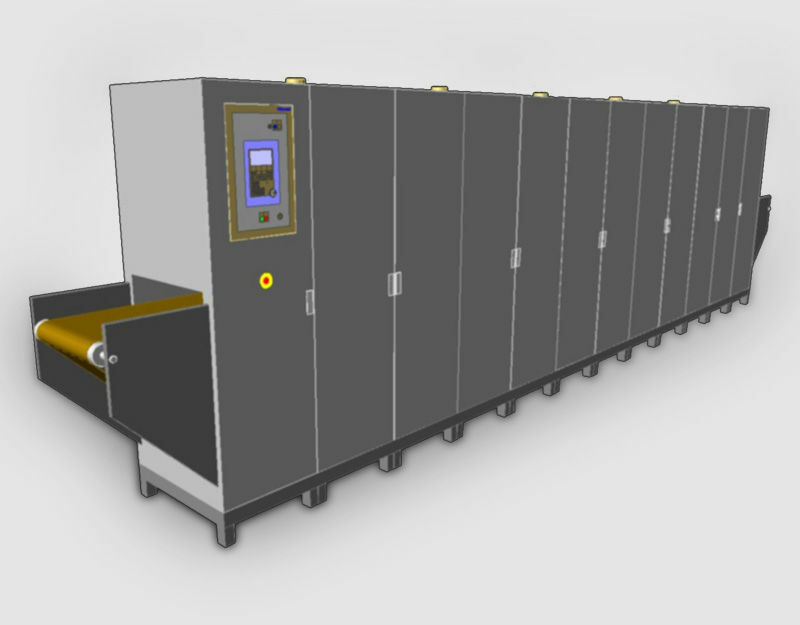 The microwave drier shown in figure 1 was optimized for a process and consists of 5 chambers with 12 kW / 2450 MHz each. A further field of application for microwave dryer in addition to existing conventional systems is the end drying to low residual moisture levels down into the ppm range. 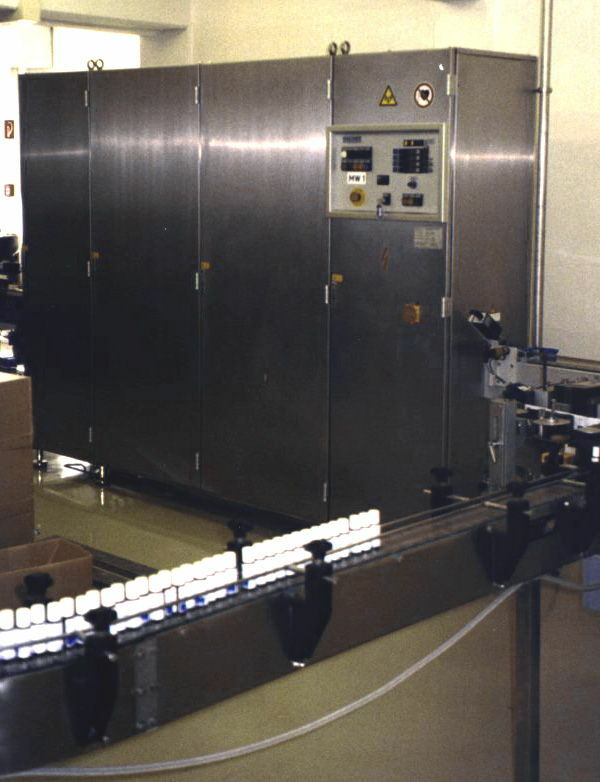 Figure 3 shows a 2x30kW microwave dryer built for high end drying of aggressive fine chemicals under abrasive process conditions dealing with evaporated hydrofluoric acid. Evaporation of residual organic solvents, such as isopropanol, ethanol etc. 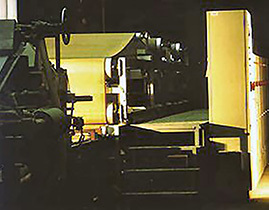 Heating has become important in almost all areas of industrial processing. Apart from the popular conventional procedures based on conduction, convection, or infra-red radiation, heating utilizing microwave energy is an attractive solution to many problems in process technology. Püschner Conti Heaters are mainly used for sterilization / pasteurization and heating web and sheet material as well as for accelerating reaction. The microwave continuous flow heating plant µWaveConti 0570 is applied in pharmaceutical and cosmetics industries. The objective is to heat liquid products sealed in bottles, in order to achieve improvements of the product's consistency and/or shelf life (pasteurization). 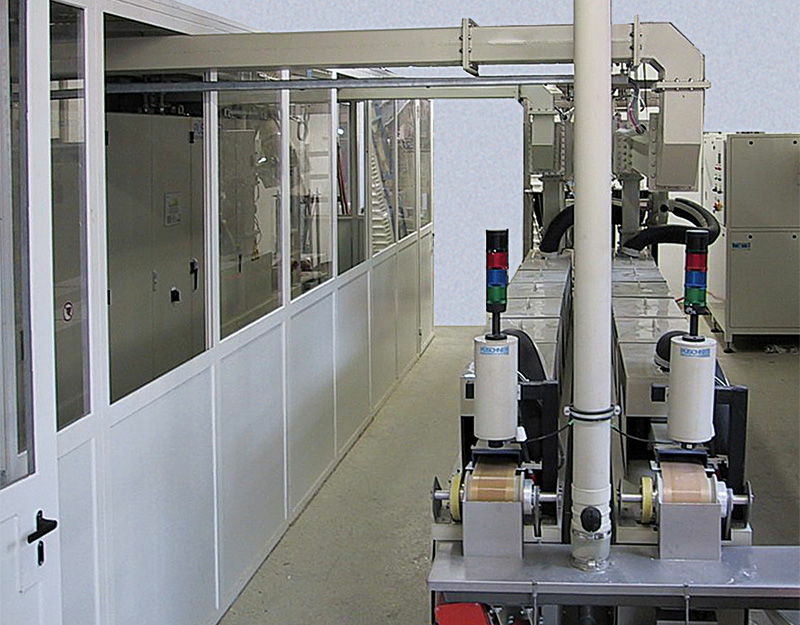 The plant is PLC-controlled and integrated into an automatic production line. The bottles from the filling machine are densely packed into the microwave channel. At the end of the channel the temperature in each bottle is measured with non-contacting infrared sensors. Bottles not complying to the temperature standards are automatically rejected. 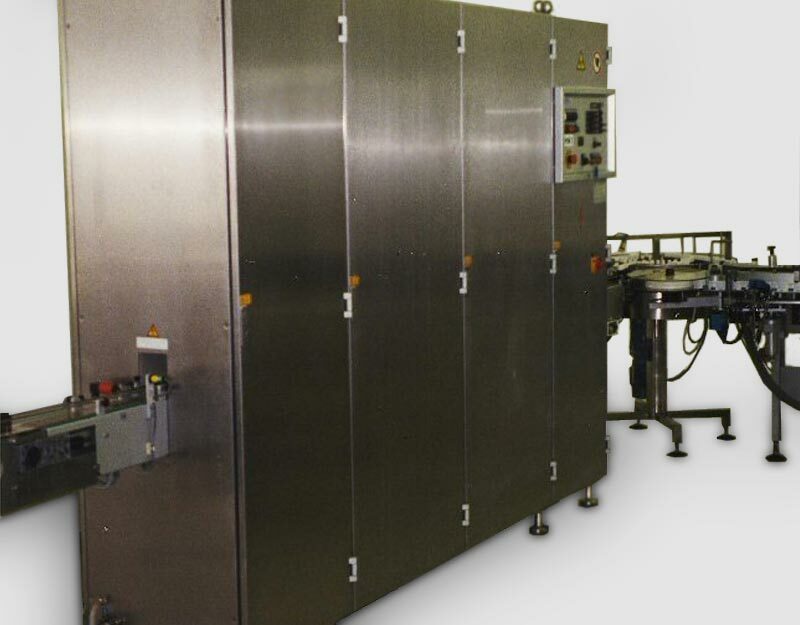 The plant described here is designed to manage a throughput of 100 bottles per minute, and heated up to the final product temperature of 100 °C. The plant covers different sizes of bottles from 50 ml down to the 4 ml ampoule. The microwave energy is selectively absorbed by the aqueous solution and only to a very small degree by the surrounding glass.